Want to know how to get in on all the ACTION??? 2. Buy your favorite digital kit for 50% off. 3. Visit the MyDigitalStudio.net blog all week-we'll be on overdrive with our posts and challenges. 4. Order the free trial MDS2 for 30 days. Don't wait! Go to my on-line store and order NOW! Adhesives are something we all use as paper crafters and with Christmas right around the corner, we will be using even more than ever. So what better time than now to stock up and save on all your favorite adhesives! Total of this bundle is $50.00 plus shipping and tax. When you order the bundle from me; you will receive a roll of RIBBON of your choice. This is does not include ON-LINE orders. Take advantage of this savings and stock up on your adhesive for the Christmas crafting season today! Email me or phone me to order your adhesive bundle. Please include which snail option and ribbon color you'd like. Together we are creating cards for you! My thoughts and prayers go out to East Coast! Happy Halloween to all of you!! I haven't been as creative as I would like but I did make these witches brooms for my volleyball players. I had to make 30 of them. It took me all the spare time I have had! I wanted to share this great card with you I received in our swap at Regional's in Tacoma. I love this wonderful stamp set called Googly Ghouls from the Holiday Catalog. Have a great day. Thank you for stopping by! Stampin' Up! is handing out a great Halloween treats! There is no minimum purchase, and there is no limit to the number of stamps you can order. Please go to my on-line store and place an order or contact me to place an order. One day only! I wanted to share with you this wonderful card that uses our single stamps that are on sale for 15% off. Love this card. Another demonstrator created this card and I love the effects. You can see all the single stamps here. Run to may store and place your order! OMG...I am shocked at SU! FIRST TIME EVER SALE – OCT 29th – that's MONDAY! No minimum purchase, no limits, no kidding! You can order this weekend through me, order on Monday with me, or order on Monday on-line. Stampin UP also added more stamps to their SINGLE STAMP PROMOTION. Click here to check it out! In addition to the Stamp Sale we're also having a week long celebration for Digital Scrapbooking Day. What this means is you'll get FREE downloads .. and 50% off Digital Kits. Be sure to check out my site starting Oct. 29th. 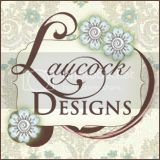 Click here to visit my Stampin Up! site. (The promotions will be updated on the 29th). Click here if you'd like to view the list of Digital Kits at 50% off. * Order online 24/7 on Oct. 29th: - Click here to go there now. *Message me on Facebook with your order. Start making your wishlist today!!! Remember to come to the Christmas Class on Sunday! Are you READY for Halloween? I am trying to get my costume together...It has been lots of work just for one day. AND, that one day is at school. I have to go and find a red cape! That will be my next challenge. Tami White had this wonderful card on her website so I cased it! I thought it was WONDERFUL! What do you think??? Isn't it the cutest thing you have ever seen? I loved how she used the JAR from the Cannery set framelits. OMG! This is so sweet! How about those witches shoes from Wicked Cool Stamp set. Don''t you love this DSP...Howlstooth and Scaringbone. I LOVE the fact that Tami is sooo talented and she shares everything with us! Thank you so much Tami! I am giving you a BIG SHOUT OUT today! THIS IS MY CHRISTMAS CARD CLASS FOR OCTOBER! If you live in the Seattle Area, please send me an email if you want to participate in this wonderful class. Come and join me for a wonderful time and 10 great cards. If you can make it this class, please check back for my next one. Ornaments are coming to town soon! Class Name: Christmas Cards - Are you ready? Class Description: Getting ready for the Holiday! It is never too early to get started on your Christmas Cards. You will make 10 cards and envelopes will be included. We combined embossing, using the Big Shot, using punches, sponging, and a few tricks to make these cards. Please bring your own adhesive. This is a drop in and create your 10 cards and leave. You will make 2 designs of 5 cards...please no exceptions. Date and Time: Sunday October 28 from 10AM to 1PM. 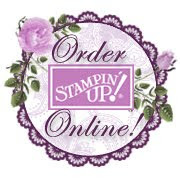 I had to let you know that Stampin' Up just today added more than 70 items to the online clearance rack. These items can only be ordered online through my Stampin Up website -- that way when something sells out, it's removed from the online store. Are you ready for Christmas??? If not, I will be having Christmas Card Classes. All you have to do is click here and it will take you to my classes. Click on the pay now button and attend on that date. This is the first part of a 4 classes. You will make 2 cards from 5 designs. The cards will be easy, clean, and best of all...you made them! The classes will be drop in classes and all you have to bring is your adhesive. (Yes you can make your cards in an hour!) Check out the first Christmas card class coming on October 28th. The class will be $25 until the 24th, then it goes up to $30. Please sign up now! This card uses the Holiday Ornament framelit dies and the Candlelight Christmas Specialty DSP. I love how easy this card is and how it includes the Festive Paper Piercing Pack you can get free with your bundle. This is a savings of 15%. Don't pass this by! Here is a closeup of the paper piercing...Stampin' Up! has made it so easy. I also pierced the inside of the ornament but that is hard to see. First installment of my 12 weeks of Christmas went out this morning. If you would like to be on this list...please sign up for my newsletter. Thanks for stopping by. Please go to my on-line store to order the above supplies. I found this card from about 10 years ago and I had to make it with the core'dinations paper from the Holiday Catalog. It is one the the nicest cards I have made and I swapped with the SUDSOL group at Regionals in Tacoma. I had so many people ask about it that I thought I would make a template and a video on how to create this cards. I really love the way this card turned out. I didn't do much stamping with the exceptions of a greeting on the inside of the card. Click here for the boot template. I would love to see your boots...Please share them with me! You can order all the supplies on at my on-line store. Up to 50% lower on My Digital Studio cards, photobooks, calendars - EVERYTHING! Click here to check out a page that lists all of the prices as they were and how they are now, or get your hands on a printer-friendly PDF below. Click here to try My Digital Studio for FREE for 30 days. This is a wonderful deal! Click here to take a look at My Digital Studio Catalog.